Comrade Hostel is the proper place to stay in Moscow. 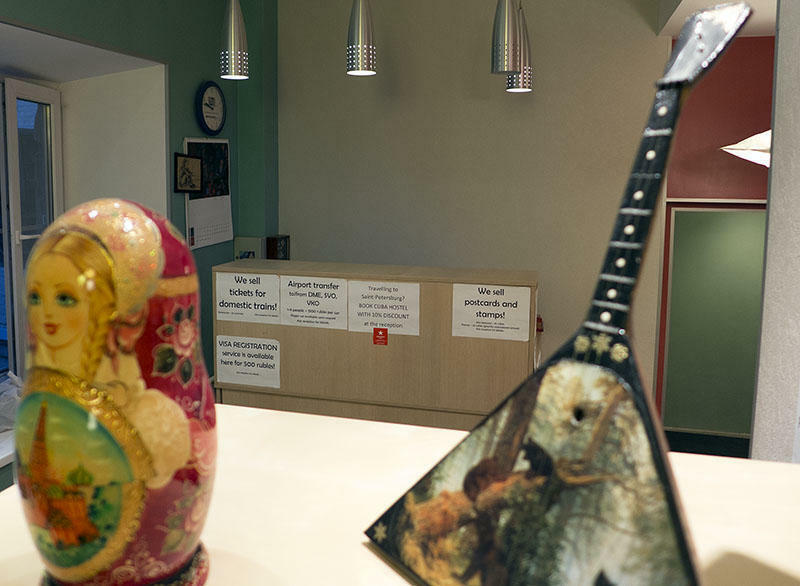 Comrade Hostel is perfectly located in the Moscow 'Old Town' area - Kitai-Gorod. This area is full with cafes, restaurants, bars and nightclubs as well as old mansions and churches. From our hostel you can reach many Moscow's attractions on foot. We are located in the green and quiet courtyard on the third floor in the renovated historical building which is more than 200 years old. We have big, clean & newly renovated bedrooms and a cozy living room where you can relax and have a beer. Our hostel is equipped with plenty of showers and a nice kitchen. Our staff is ready to help you 24 hours a day. We provide information on the best places to visit and can book tickets for you in Moscow. From metro station take Maroseyka exit (look for the MAPOCENKA sign) and walk down Maroseyka Street away from Kremlin. Be on the left hand side of the road. Walk past McDonalds on your left and look for street numbers - take SECOND left after McDonald's to the courtyard. In courtyard turn left and you'll see our sign near the door in the corner. Take the stairs to the 3rd floor. Walk from metro is 3 minutes. If you exit the metro from the south side exit, walk up along with the boulevard on your left hand until you get to Maroseyka Street and follow the directions above. Take the bus (no. 851c, 60RUB, 30 minutes to one hour) to Rechnoy Vokzal metro station (Dark Green line north terminal) or the bus (no. 817c, 60RUB, 40 minutes to one hour) to Planernaya metro station (Purple line north terminal). Take the airport express train Aeroexpress (200RUB, 40 to 50 minutes, departs every 30 min) to Paveletskaya metro station, the south transfer station between Dark Green and Brown circle lines. Take the airport express train Aeroexpress (200RUB, 30 to 40 minutes, departs every hour) to Kievskaya metro station, the west transfer station between Dark Blue, Blue and Brown circle lines. Alternatively you can take the bus (no. 611c, 25RUB, 30 to 40 minutes) or shuttle bus (no. 45, 60RUB, 20 to 30 minutes) from the airport to Yugo-Zapadnaya metro station (Red line south terminal). A taxi from any airports to the hostel will cost about 2000RUB.